Summary：With China’s economic slowdown, small- and medium-sized enterprises are facing huge strains in finding the capital they need to stay afloat. Banks are aggressively calling in loans and refusing to issue new loans to these enterprises, leaving them with few places to turn. Recently Li Zibin (李子彬), president of the China Association of Small and Medium–sized Enterprises (中小企业协会), sent a letter to State Council Vice-Premier Ma Kai (马凯) detailing the severe difficulties faced by SMEs around the country. One of Li’s main worries was that capital chains are tightening, making it very difficult for businesses to obtain and afford financing. The risk of an economic downturn is causing many industries to face painful adjustments, but for SMEs, which are especially vulnerable, it’s becoming a matter of life and death. “I and many entrepreneurs have felt the crisis coming head on,” said Zhou Dewen (周德文), chairman of the Wenzhou SME Development Association. Recently, many entrepreneurs have come to him for help saying that capital is in short supply and they have nobody to turn to. “Fleeing boss” stories haven’t appeared in the media as much as they did in the aftermath of the 2008 global financial crisis, but Zhou says that such cases are still happening frequently in Wenzhou. He believes there will be more serious cases of bankruptcy and “fleeing bosses” over the next four months. These events have coincided with channels for SMEs to obtain short-term liquidity drying up. Li Xingwen (李兴文), the boss of a hardware company in Dongguan, said that in the past his company could deliver 3 million yuan’s worth of orders in a month. But now, due to the lack of liquidity, he can barely manage to utilize 50 percent of his production capacity. Since Li’s factory is rented, his only asset is his production equipment, which isn’t worth much. This makes it impossible to get loans from commercial banks, so when cash is tight, he usually just asks friends for help. If he’s in an especially desperate situation, he can only go to small loan companies, but the interest costs are usually prohibitively high. Recently, Wenzhou organized a forum for banks and businesses in order to address financing problems. All 26 banks in Wenzhou attended, whereupon they were criticized by SMEs in front of the city’s mayor and party secretary for not being supportive enough. An entrepreneur speaking at the forum said that the relationship between banks and businesses should be like that of a “fish and water.” Banks should support businesses’ development, giving water in order to breed fish. But in fact, the relationship has become one of “water boiling fish” (水煮鱼), the entrepreneur said. Wenzhou’s Judger Group (庄吉集团) is a typical case. Since 2011, banks have called in 107 million yuan in loans from the company, leaving it on the verge of bankruptcy. Judger’s capital chain hasn’t broken completely yet, but its normal production and operations have been severely hampered. Dr. Ding Li (丁力) from the Guangdong Provincial Academy of Social Sciences told the Economic Observer that although the central government and local governments have made a lot of noise about improving the situation for SMEs, the capital flow still hasn’t improved much. The reason, he says, is the system. State-owned enterprises are the “son” of the government, so naturally they’re given more support. With the crisis of breaking capital chains coming, SMEs can only turn to the government for help. In fact, a number of local governments, including Wenzhou, have come forward to coordinate between banks and enterprises, hoping banks can help to overcome the immediate crisis. In some cases, they’re requiring banks to refrain from calling in loans or putting pressure on companies. But financial experts say this kind of administrative command on commercial banks won’t completely resolve the current crisis. Ye Huisheng (叶穗生), an official from the Guangdong Provincial Financial Service Office, said that supporting SMEs will mainly fall to small loan companies. But due to these companies’ small scale, their effect will be very limited. The only way to meet SMEs’ capital demands is to continue increasing the number of small loan companies and strengthening them. The advice that Li Zibin gave in his letter to the State Council included continuing to transform banks’ financing mechanisms, providing more financial support to SMEs, launching small financial institutions like village, town, and community banks and allowing more private capital to enter the financial system; as well as developing and standardizing markets for securities, private equity, venture capital, property rights trading and financial leasing. The letter was reportedly forwarded to the people in charge of the Central Bank, China Banking Regulatory Commission, China Securities Regulatory Commission and other ministries for discussion. 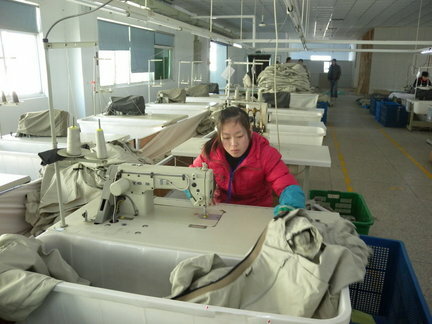 “We now see a ray of hope,” said the head of a small enterprise in Wenzhou.